Won't leave an oily residue behind and won't dry out your skin! 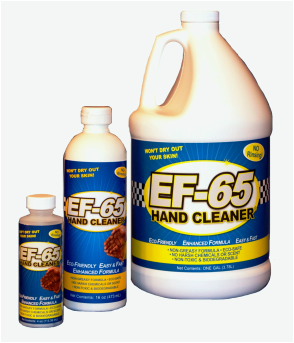 Try it today for the best hand cleaning product on the market! EF-65 Owner Gary Longley pictured with the Don Schumacher Race Team at their 200th win. Way to Go DSR! We are constantly adding many more race teams to the program so keep checking in to see who joins!